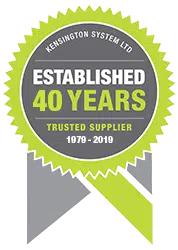 Kensington’s high performance curtain rail collection has been designed and developed to meet the demands of today’s soft furnishing requirements. Flexible in application, modern in design and uncompromising in quality and performance. These products are being installed everyday in Hotels, Hospitals and Schools, as well as other commercial establishments, and are built to cater for every application. A suite of products give the consumer a complete package of control options. Motorised track systems: A Kensington speciality.